Rory's mom found my blog and requested a few items for a party that will be all the way in Australia. The internet has really made our world a smaller place! She liked my vintage baby shower printables but wanted the items without the vintage toys. 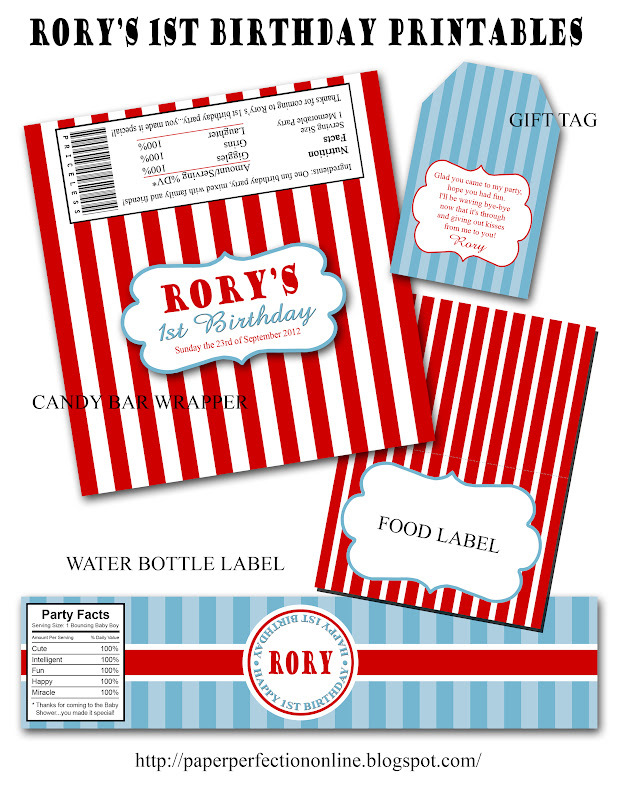 Here are the items that I designed for Rory's 1st Birthday party! The gift tag says, "Glad you came to my party, hope you had fun. I'll be waving bye-bye now that it's through and giving out kisses from me to you!" This is the prefect saying for giving hershey kisses for a first birthday party!